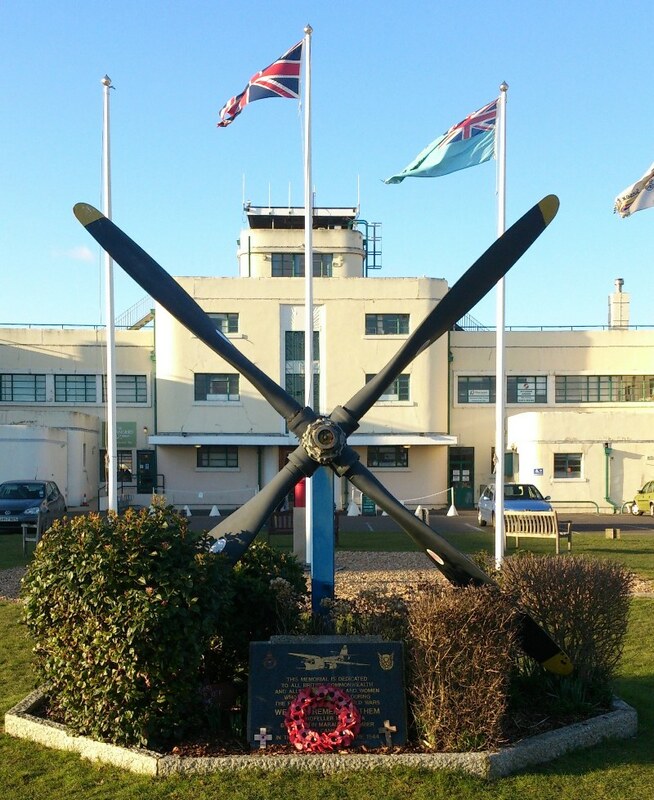 This unique war memorial stands near the entrance to Shoreham Airport in West Sussex. The marble plaque provides a dedication to the British, Commonwealth and Allied servicemen and women who gave their lives in the First and Second World Wars. The plaque sits below a propeller recovered from a United States Air Force B-26 Martin Marauder medium bomber that came down in the English Channel during June 1944. The Marauder was a twin-engined medium bomber that saw service with the United States Army Air Force, as well as the Royal Air Force and Commonwealth air forces during the Second World War. The aircraft was built by the Glenn L. Martin Company. It first flew on 25 November 1940 and entered service in early 1942, when it was initially deployed in the Pacific. However, the Marauder was soon to see active service in Europe. In all 5,288 were manufactured and over 500 were flown by the RAF and the South African Air Force. In 1942 the United States government offered the British a consignment of 52 B-26A Marauders under the terms of the Lend-Lease agreement. The aircraft were desperately needed by the RAF, which quickly deployed them to squadrons in Egypt to replace the Bristol Blenheim bombers. The first operational mission took place on 6 November 1942. The Marauder I, as it was designated by the RAF, were used primarily for long range reconnaissance, mine-laying and anti-shipping duties. The following year No. 12 and 24 Squadrons of the South African Air Force took delivery of the new 100 ft. wing-span B-26C-30s, which was designated as the Marauder II and which saw service over the Aegean, Crete and Italy. RAF Squadron No. 39 Squadron was re-equipped with Marauders as part of the Balkan Air Force and undertook operations in support of Tito’s Yugoslavian Partisans. The US Eighth Air Force brought the Marauder to England in early 1943 and the 322nd Bombardment Group flew the first low-level operational sorties with the aircraft in May of that year. 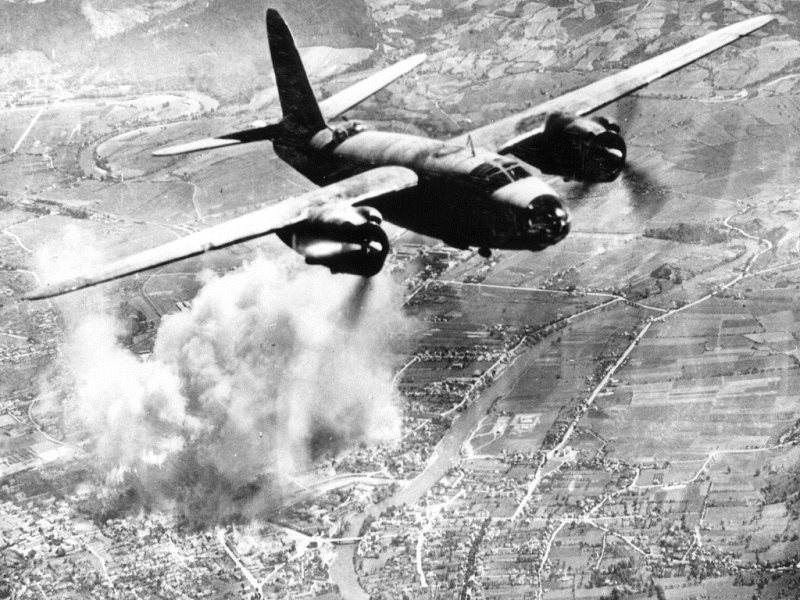 The Marauder was a highly accurate and effective bomber, in particular when flying at altitudes of between 10,000 to 15,000 feet with fighter escorts. It proved its worth on hundreds of missions, including strikes against V-1 launching sites in the weeks before the D-Day landings in June 1944. 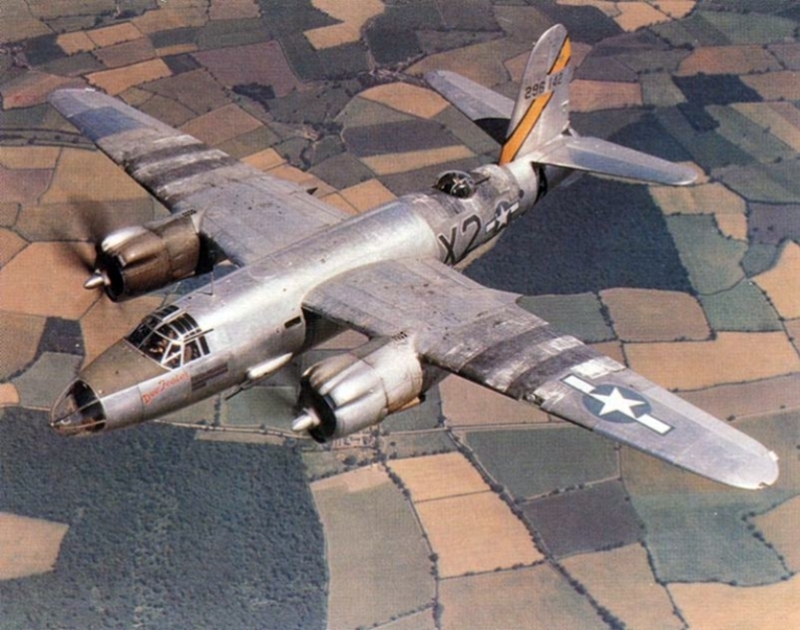 The B-26 flew its last combat missions against the German garrison at the Île d’Oléron on 1 May 1945. For more information on military conflict in the Pacific in the first half of the twentieth century take a look at The Rise and Fall of the Japanese Imperial Naval Air Service by Peter Edwards.